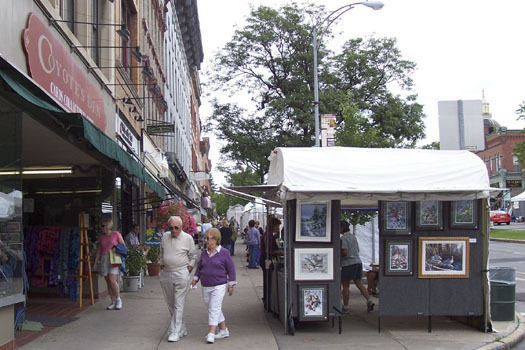 Canandaigua Art & Music Festival in Historic Downtown will be held Friday July 15th, from 12pm-8pm, and Saturday July 16th and Sunday July 17th from 10am-6pm. 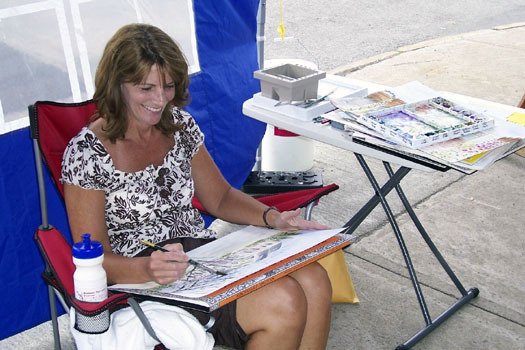 Along with great musical performances, this year’s Canandaigua Art and Music Festival will feature a wide variety of art. 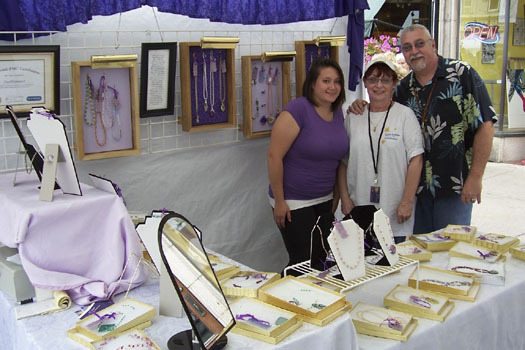 Vendors will be set up along Main Street displaying their wares that will include artwork such as ceramics, pottery, jewelry, woodworking, painting, photography, gourmet foods, graphics, and print. 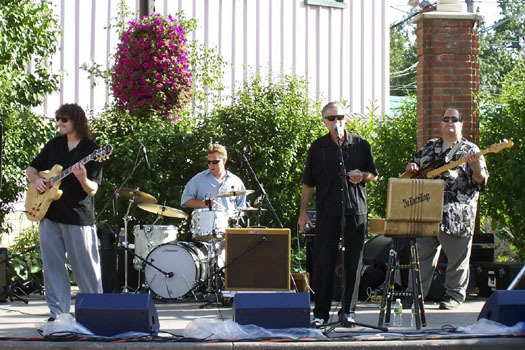 Musical acts will play at the main Commons Park Stage all three days of the festival. In its second year, the Country Bluegrass Stage will feature performers on Saturday and Sunday. 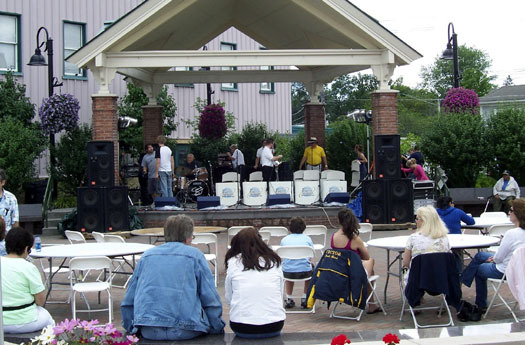 Commons Park Stage is located on the corner of Coach and Main Streets and the Country Bluegrass Stage can be found next to Byrne Dairy. The musical acts, booked by Rainbow Talent Agency, continue to grow each year. There are more than 20 bands performing throughout both stages, with incredible talent from around the Upstate NY region. Full schedule is below. 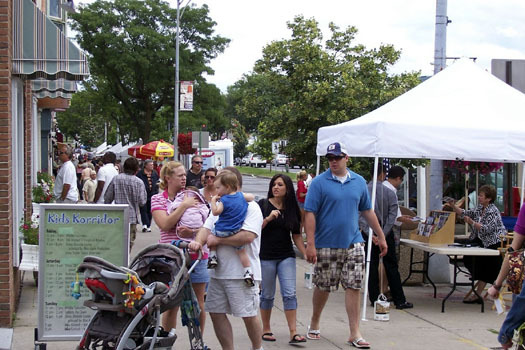 The Canandaigua Art & Music Festival features affordable family fun for all ages. Kids Korridor, located in the parking lot next to the Canandaigua Chamber of Commerce, offers hands-on activities for kids. Highlights include Wildlife Defenders, Hochstein School, Gadgets the Clown, Sand Art, Wax Hands and a Duck Pond with prizes. A complete schedule is listed below. The Canandaigua Art & Music Festival would not be possible without support from its sponsors. Sponsor revenue helps pay for free entertainment, kids korridor attractions and other festival related expenses. 2011 sponsors include: Bath Fitter, Canandaigua Magazine, Comfort Windows & Doors, Daily Messenger, Finger Lakes Gaming & Racetrack, Premier Sunrooms, Soft Tub Express, WCGR 104.5FM and Wegmans. There are several free municipal parking lots located throughout the City ofCanandaigua. Lots can be found onWest Avenue,OntarioStreet,Mill Street, andBristol Street. The Canandaigua Art & Music Festival blog highlights acts and artists in the weeks leading up to the festival. The blog, found at www.canandaiguaartandmusicfestival.wordpress.com lets the artists and musicians answer questions in their own words. Each post is like a quick conversation with the artist; an easy way to hear a band’s playfulness, an artist’s dedication, a photographer’s perspective and get a sneak peek at festival vendors. Downtown Canandaigua Business Management Association, also known as “the Canandaigua BID,” is a non-profit organization created to promote, beautify and improve downtown for residents, property owners and merchants. Key projects include: Main Street Grant, Canandaigua Art & Music Festival, Downtown Hanging Baskets and the Summer Concert Series. The DCBMA is celebrating 20 years of serving the community and encompasses more than 100 properties and businesses. 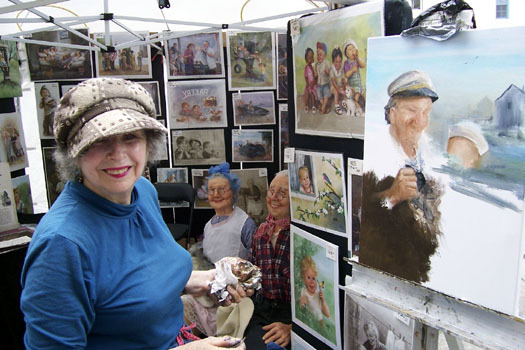 This year’s annual Canandaigua Arts and Music Festival is almost underway, and is expected to be even bigger and better than previous years. The Festival, which will be held July 16th – July 18th, will feature not one, but two stages of musical talent performing for those who attend. Similar to previous years, there will be a main stage, Commons Park Stage, where the majority of acts will be performing. Unlike previous years, there will now be a second stage, Time Warner Stage, which will only be active on Saturday July 17th and Sunday July 18th. The second stage will feature a Country and Bluegrass theme, and will continue to add to the Festival’s quality and diversity of music performances. The musical acts, booked by Rainbow Talent Agency, continue to grow each year. There are more than 20 bands performing throughout both stages this year, with incredible talent from around the Upstate NY region. Carl Labate, Producer and Agent of Rainbow Talent Agency, is responsible for booking all of the musical acts and making sure they are a good fit for the venue. Labate, who believes in providing opportunities for original bands who create their own material, makes sure he also provides the audience with a wide variety of music, different from year to year. Along with Rainbow Talent Agency, we must also thank Canandaigua’s Business Improvement District for putting this event together. This year with the expansion of musical talent and second stage for performances, people should expect to see more high-quality acts and vendors, and enjoy the family-friendly atmosphere. 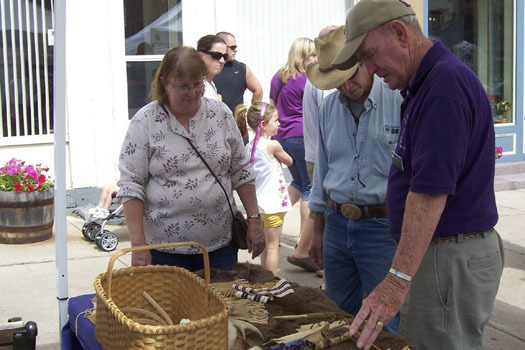 Whether you join the festivities for one day or all three, it’s guaranteed that you will enjoy the variety of music, vendors, and the friendly atmosphere. Friday, July 16th: 12 p.m. – 8 p.m.
Saturday, July 17th: 10 a.m. – 6 p.m.
Sunday, July 18th: 10 a.m. – 6 p.m.
To see this year’s musical acts, please take a look at the schedule of performances. 5:00 p.m. – 6:00 p.m. Dang! Thanks to All for a Great Festival! Thanks to all who helped make this year’s Canandaigua Art & Music Festival a great success, including our Artists, Musicians, Food Vendors, Attendees, Merchants, Chamber Representatives, Volunteers, Suppliers and Staff Members who contributed to the success of this year’s event! Spanky Haschmann's Big Band Orchestra swung the festival to a close in style! A great Festival, right to The End! 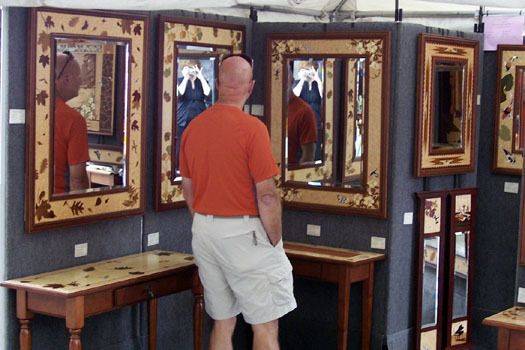 We look forward to seeing you next year at the Canandaigua Art & Music Festival on July 16-18, 2010! All photos courtesy, Carol White Llewellyn, Finger Lakes Travel Maven. 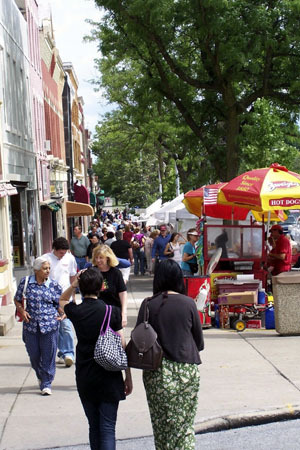 Each summer, Canandaigua residents look forward to the Canandaigua Art & Music Festival, started over 20 years ago by the Canandaigua Business Improvement District (BID) . 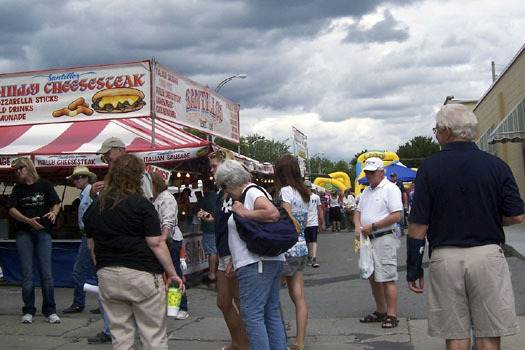 To establish the event as one of Canandaigua’s premier festivals, BID brought it in-house and hired seasoned event organizer and marketer Nicole Mahoney to run it. Nicole also handles marketing, events, merchant liaison and promotion of the Business Improvement District. Nicole began her career out of high school when she went to work for her father’s business, Roc Communications Car Stereo on West Ridge Road in Rochester. 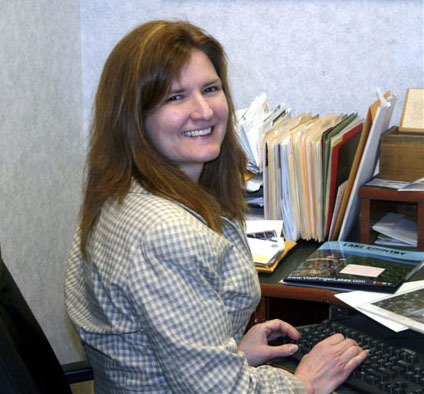 From there, Nicole worked with Beau Productions, organizing Rochester’s Annual Air Show, the Charlotte Carousel and Harbor Festival, Rochester’s Lilac Festival and other events. She rose to Executive Director at Beau Productions. About the time her first daughter was born – she has four, ranging in age from 7 months to 10 years old – she decided to do freelance event management. 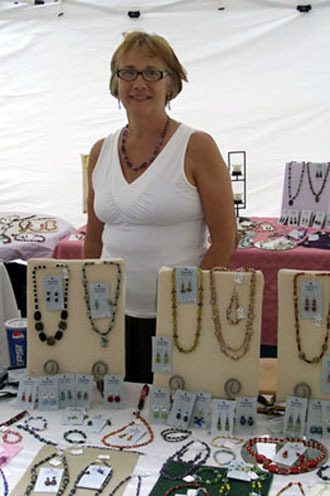 She had such success working with Canandaigua’s Business Improvement District on a freelance basis, they hired her and, in 2006, she took over organizing the Annual Canandaigua Art & Music Festival. 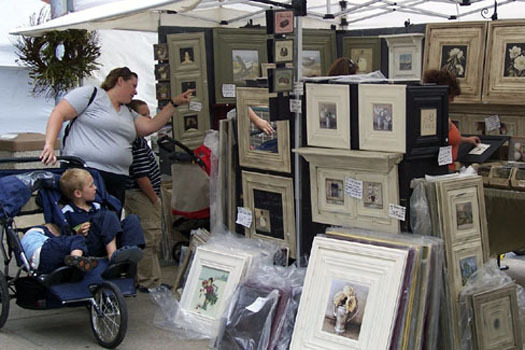 Today, the Art & Music Festival is one of Canandaigua’s most popular events. 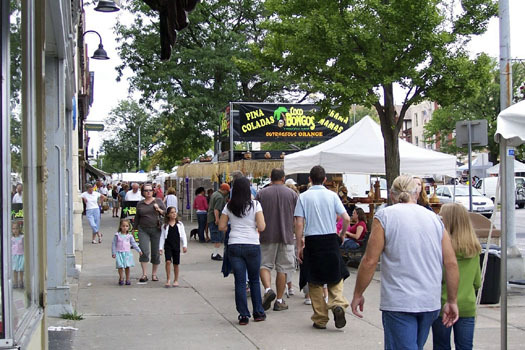 “We’ve really enhanced the festival and it now focuses only on Downtown Canandaigua. 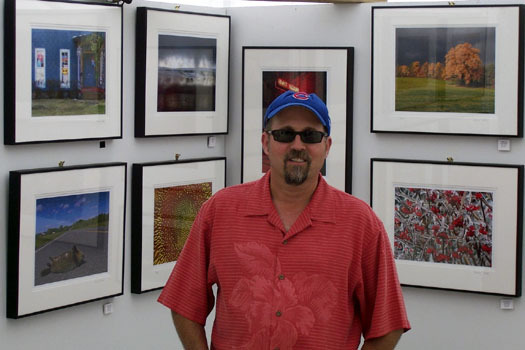 We get between 100 and 150 exhibitors, Our art show is now juried which has really raised the quality. Jury members review the applications looking for variety in the work as well as the price points. “One thing we’ve done to differentiate ourselves from other shows is to bring in music hired by a talent agency. We get some terrific performing artists! 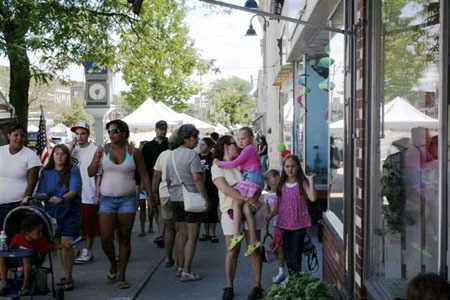 The Canandaigua Art & Music Festival is free to attendees so it draws a great crowd!